Listening to the homily at Mass today on the Beatitudes my imagination started to wander when it should have been engaged in wonder. As a kid I had been a big Beatles fan and when other kids brought 45s (showing my age) like the Archie’s "Sugar, Sugar" for a school party, I brought the Beatle’s Sergeant Pepper’s album to class. I was rather disappointed when the teacher refused to play anything off of it. Now what does this have to do with a homily on the Beatitudes? Well the homily lead me to a train of thought where if I persevere and make it to Purgatory will probably cost me some extra time or whatever goes for time there. 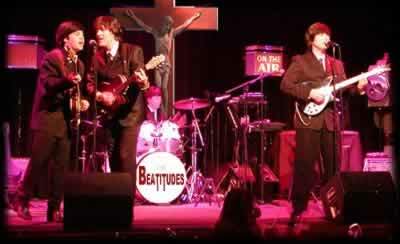 I wondered what if Paul McCartney had absorbed the piety of his Catholic Mother. What if John Lennon instead of shoplifting items from a Roman Catholic Bookshop had read books from there instead. Instead of the Lennon quipping "We’re bigger than Jesus" we might have more of a John Lennon the Baptist and "He must increase, and I must increase." In this alternate reality we would never had had to suffer through the lyrics of Imagine and might have had something more meaningful. 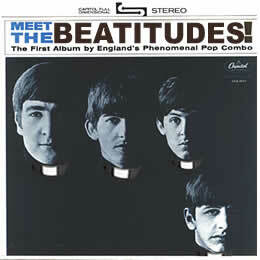 In this alternate reality what if the Fab Four had instead started a group called "The Beatitudes." And of course Abbey Roads would be in front a a real abbey! Hey Jude would be about the Apostle Jude and ticket to ride would be about Baptism. And here is one of there hits, Mystery. speaking words of wisdom, mystery. How is this reality, mystery. Listen to his words of wisdom, mystery. You always bring a smile to my face with your clever writing and this post is no exception :). 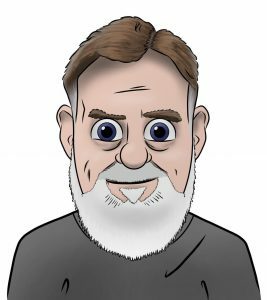 totally unrelated – I put my blog back up. Great post. Very funny. Pray for John and George and for the repose of their souls. George, also had Catholic roots. And I remember reading somewhere that John was moving in a Christian direction shortly before he died. In fact, I have heard what is supposed to be the last thing he recorded (on a tape recorder at home at the Dakota). It’s a song that literally sings praise to God. Pray also for Paul (baptized Catholic, if I’m not mistaken). Very talented. Very smart. Very rich. Very confused. And very lost. And Ringo? Who knows where his head is at? Pray for them! I never really was a Beatles fan, but it would have been impossible to live through my lifetime without knowing something about them. Is Paul McCartney so mixed up? He gets points in my book for having stayed with his wife until she died. The last I heard, he and his second wife were mostly involved with disabilities advocacy. With reference to the Beatitudes, I was thankful to have attended the Mass celebrated by the priest from Spain, who is not altogether at home in English yet, and to have been spared hearing the inevitable trope about the Beatitudes’ being the “be-attitudes”. Great post, but must correct you on the second photo. That’s clearly a Beatlemania-type band, not the Beatles. 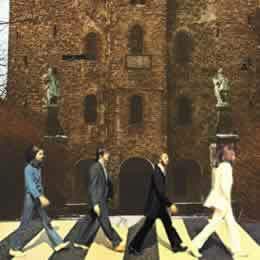 At the 2004 Worldcon, Stephen Dedman read a story involving a Pope George Ringo. He got a few things right, but the ecclesiology and moral theology were somewhat flawed. Don’t recall the title, or whether it had already been published. Some of the Beatles music, of course, is already touching on the spiritual, either in form or content: “The Word”, “Let It Be”, “Within You, Without You”, “The Inner Light”. And I happen to like “Imagine”, even though I know Christians are “supposed” to hate it. Hello, I have the iPhone 2G (1st Generation) and I wan to sell it tomorrow. I will be travelling to Canada soon and will ge the new unlockiphone22.com later on. How can I save my contact list from the iPhone to my computer, and then copy that information to another computer since I’m not taking this computer with me? I am using Windows OS. Best regards, Woody :.